PRODUCT RATING Very Good. These single-piece, portable chopsticks by muji require no assembly. The chopsticks and case are easy to clean. However, some may have difficulty adjusting to slightly shorter length. Like most of muji’s products, they are relatively high quality and well designed. Made of plastic. GREEN RATING Light Green. Single-use, disposable chopsticks are a huge problem adding to the plague of regional deforestation. If you use disposable chopsticks while eating lunch at your desk or at sushi restaurants, try bringing a pair of your own. In addition to deforestation, there are also other health and environmental issues associated with using and disposing of single-use chopsticks. AVAILABLE AT muji. You can also find other portable chopsticks in stores throughout Hong Kong. Each year, the equivalent of 3.8 million trees go into the manufacture of about 57 billion disposable pairs of chopsticks in China, according to statistics from that nation’s national forest bureau. About 45 percent of disposable chopsticks are made from trees like cotton wood, birch, and spruce, while the remainder are made from bamboo. Industrial-grade sulfur, paraffin, hydrogen peroxide and insect repellent are among the harmful chemicals that Chinese media investigations have exposed during production. Paraffin is a known carcinogen, and hydrogen peroxide can harm the digestive system. Chopsticks irresponsibly disposed of can contaminate water and soil quality. 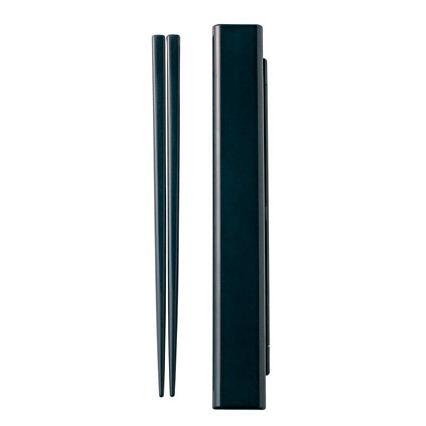 While there are other designs for portable chopsticks, we highly recommend the single-piece design from muji. With many other designs, each chopstick is comprised of two-pieces that either screw together or have a spring-loaded pin that allows them to snap together. This allows for standard length chopsticks in a portable package, but these design carry some drawbacks. First, the two-piece chopsticks may wiggle and feel loose at the joint making using them unsatisfying. Second, the more complex designs mean the chopsticks and more importantly the case that holds them are harder to clean. Owen: Dad Dad, I have my own pair of Winnie the Pooh Chopsticks!! And My Donna Mom and Stephen Dad will listen to your advice and have 2 pairs soon. People think we are hygienic freaks when we use them 🙂 they are great, although I have a tough time trying to eat rice dishes with them…. Next Next post: Are you mosquito bait?